From the Mind of Banachek, the World's Number One Thought Reader! Thank you for your interest in products developed and endorsed by Banachek, the World's Number One Thought Reader. 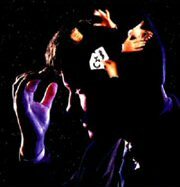 Here is where you will find books, CD's, DVD's, and more from the mind of Banachek. All of our products are intended for entertainment purposes only. Please click on the "Shop Now" tab above to begin your journey toward becoming a better entertainer.